Today’s technologists and entrepreneurs desire a way to contribute to public purpose; there’s a hunger for them to be part of something bigger than themselves or their firms. Government may not be what first comes to mind, yet there are incredible opportunities and a need for top talent to confront the challenges of our time. 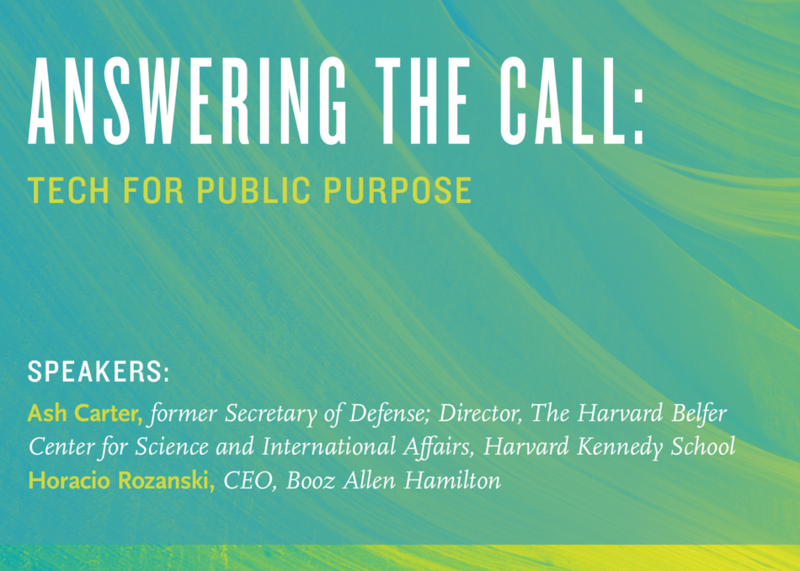 Join former Secretary of Defense Ash Carter and Booz Allen Hamilton CEO, Horacio Rozanski, to discuss how technologists can create a future that serves humanity as a whole.